cPanel is the leading control panel software company period. Without exception cPanel has been setting the bar with their product for many years. 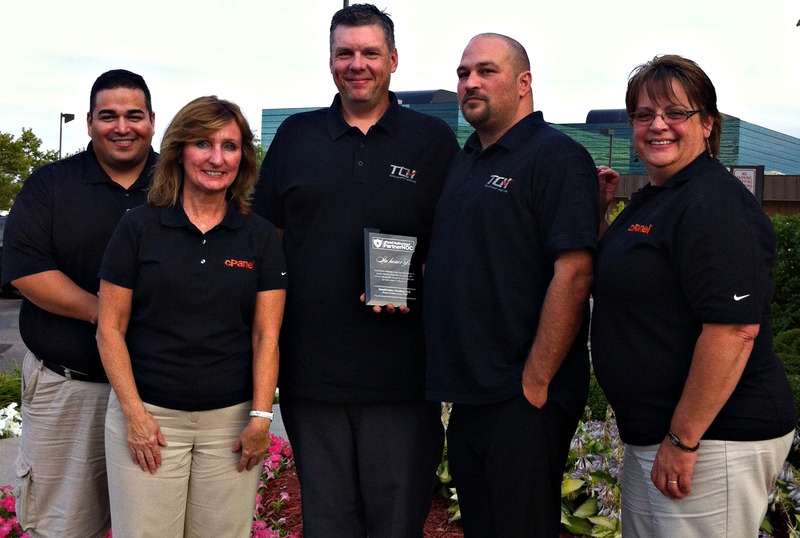 TCH has been a avid supporter and has been involved with the cPanel Partner NOC program for many years. This month cPanel invited the management team of TCH to enjoy dinner and a discuss our product lines It was a most enjoyable meeting. Most notable to me was being able to finally extend a handshake to a man that I have been dealing with for over 13 years. Mario, is our account manager at cPanel has been dealing with TCH well before cPanel. After dinner cPanel presented us with a very nice plaque that will be finding a new home on our office walls. I am really pleased to be able to be part of the cPanel program for this long and look forward to many more years. Cheers to the fine folks at cPanel. Over the past few weeks we have been working behind the scenes with our Hardware Vendors to complete acquisition of several new Core Routers. I am happy that this phase of the project is completed and the new hardware is sitting on the floor of our Troy, MI Data Center. Over the next couple days we will be starting the process of preparing the new core routers for production work. This is a detailed process and one that we will take our time with and make sure we get it right. Our core routers are all Cisco branded and the new routers are also from Cisco. So the move over to the new routers will not be a complete changeover for us. Once the new routers are up and running with our required setup, we will run a burn in period of a 336 hours (two weeks). After this is concluded we plan on sending a network upgrade notice for the weekend of September 1st, 2013. This will include the network being down for a short period while our current routers are replaced with much more robust and capable systems. I will keep everyone informed via the blog and forums about the upgrade as this is a very large infrastructure upgrade. It is a great day here at TCH!